The incisive and thought-provoking opening lecture by Rob Nixon on the first day of the Tales from Planet Earth film festival in Stockholm, Sweden (April 9-12), reviewed HERE, was followed by three documentaries on the topic of waste: Plastic bag (Ramen Bahrani, USA, 2009, 18 min), Trash Dance (Andrew Garrison, USA, 2012, 68 min), Unravel (Meghna Gupta, U.K, 2012, 14 min), and Metamorphosen (Sebastian Mez, Germany, 2013, 84 min). The first two present what could be called a ‘humane’ version of trash but from very different approaches. Plastic Bag is a self-narrated story of a bag, through the voice of Werner Herzog, that invites us to establish an empathic link with the life of a thing. The bag is taken by a woman from a supermarket to a house, lives for a while there fulfilling its role, and then becomes discarded into a landfill. From the dump, the bag sets off on a long journey where it attempts to find ‘its maker’ (the woman who discarded it), reaching the “Pacific Vortex”, an area in the Pacific Ocean where hundreds of thousands of tonnes of plastic waste are gathered by currents and winds. The movie clearly portrays the problem of wastegenerated by plastic bags but also forces us to think what a personified thing would realise about its existence. In the bag’s quest, we could read several messages. One is its non-degradable characteristic: the bag proudly states “nothing could destroy me”, but in the end laments this very same characteristic by concluding that if it found ‘its maker’, it would have just one message: “I wish you had created me so that I could die.” Another theme that emerges is the responsibility of individual consumers to recycle, beginning with the woman who discards the bag. From a political ecology perspective, we could question both of these as insufficient to understand the problem of the bag. It is not the consumer but the lack of recycling policies and, even more fundamentally, the continued production of bags that is the problem. Moreover, we can question the focus on biodegradable design, beginning with the industrial and probably genetically-modified production of corn that is used in most of these bags (with its consequent social and ecological impacts), to the energy used in their production, to the fact that many bags that claim biodegradability are not really biodegradable. A third reading is the quest to make plastic bag producers (the actual ‘makers’), as well as the supermarket chains that distribute them, responsible for their pollution and for reducing their production – in other words, to apply the polluter pays principle. This would be more akin to a political ecology approach to understand the problem. Yet we also must ask: who are these corporations, and what are the structural constraints and the power relations that prevent polluter pays policies from being implemented in many countries? This reality is not really explained in the documentary, leaving it up to the viewer to reach this conclusion and find the relevant information on his/her own. Trash Dance documents a dance project carried out by a choreographer with the people engaged in its daily collection, the waste collectors, in Austin, Texas. 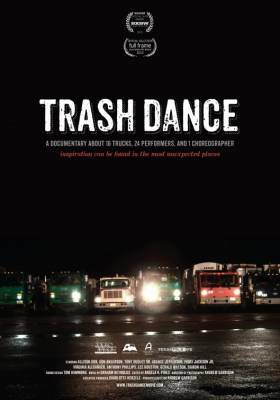 The film is not about trash but about these individuals (the subtitle of the film in the poster reads: A film about 16 trucks, 24 performers and 1 choreographer). The objective is to portray their daily work –to shed light on what they do, as a participant concludes– and to tell the tribulations of organising a dance performance with their working instruments, shown at the end. The movie’s main message can be summed up in the commentary from one of the participants: “People look at us as trash collectors and think that’s all we are, but a lot of us are smart people. There’s some grace to what we do, we’re all professionals.” A similar idea was repeated several occasions by others, for instance: “Once you get to know us individually, then we’re not just trash collectors, we’re Irvin, John,…” It is striking that all the participants are black or Latino and all, except a few, are men. There are some white men in the background, but they are never interviewed for the project. The film successfully sheds light on what trash collectors do, showing their humanity, and making these invisible bodies, invisible workers, visible to society. The dance in the end makes us feel the beauty of workers who have found a space to express themselves in a different format and break the monotony of their daily routine –they (and expectedly the viewers) have found “inspiration in the most unexpected places”, as the poster reads. At the same time the film fails to make visible something perhaps more important –the system that leads to a strongly racialised division of labor where most of the trash collectors end up being Black and Hispanic, and having to work two or three jobs to make ends meet. For instance, there is no discussion about the systematic underpayment of these workers, and neither does the director explore their overall working conditions. In fact, the film actually portrays their work as relatively easygoing, happy, conflict-free. Moreover, it was shocking that all the choreography and music crew working on making the last dance were white. In doing this, the film seems to reinforce the dominant discourse of worker-patron relations in capitalism by pleading to prove the ‘humanity’ and value of these workers to their employer and to society so that they can continue working under their exploitative unequal conditions. Metamorphosen shifts the focus from urban waste to toxic radioactive waste in a rural context. It portrays the lives of people in a town near the Mayak Production Site, one of the biggest nuclear facilities in Russia, that was severely impacted by radiation pollution due to direct dumping of nuclear waste into the nearby river. The slow violence that Rob Nixon talked about is very evident in this film – the radiation and its effects are ‘invisible’ both to the people experiencing them and to the viewer: only few of the interviewees have clear signs of any radiation effects, and the landscape seems pristine, though in a way also haunting. 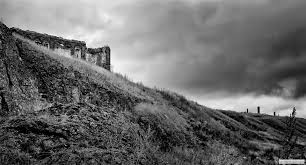 The striking imagery of the film contrasts the beauty and peacefulness of the landscape with the realisation that it is highly polluted. 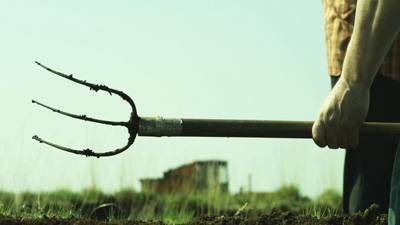 The documentary also underscores the state’s corruption and disregard for citizens’ wellbeing, which serves to sustain these toxic landscapes. However, contrary to other cases discussed during the festival, this violence does not seem to elicit any resistance from those affected: some stay in their houses, others move to a new relocation town just two kilometers from the site, and all seem to accept the radioactive exposition as just another curse of time. Significantly, from fragments of talks about the everyday life in the village, we learn of the stigma that these people carry in the eyes of other villagers, as if contamination is a form of guilt that puts you outside the community of “normal” people. The second day of the film festival featured two films on the topic of energy worth discussing: Home Turf (Ross Whitaker, Ireland, 2011, 14 min) and Powerless (Fahad Mustafa, Deepti Kakkar, India, 2013, 84 min). Powerless shifts the focus from the sources of energy into its production and distribution. It is a story about Singh, an electricity thief in the Indian city of Kanpur who is the master of illegal connections in his neighbourhood, and the hard-nosed bureaucrat who comes to the town to clean up this theft and get people to pay for their electricity. It is also a story about Kanpur and the changes undergoing in industrial cities in an increasingly neoliberal, globalised India. Kanpur used to be called the Manchester of the east, full of textile mills, but when the Indian economy was liberalised the national mills in the city closed down, hundreds of thousands of people lost their job, and the city’s infrastructure, including its electricity, began to crumble. The city is now famous for its power outages and the problem of electricity theft. Contrary to the other documentaries, this is a very cinematographic film that uses a Bollywood format – including its own music composition – to reach the Indian audience. As film’s director, Mustafa, explained in a workshop discussion after the film screening, once he got into the story he realised it was much more complex than just poor people lacking electricity, but also about power and class inequalities. At the same time, it is not a story about how to solve the problem, but more about how people cope with inequities: who’s the villain is not up to him to decide. “Life is just what it is”, the director told us afterwards. The film’s main achievement is to portray this everyday life (though how much of it is staged is sometimes unclear) while questioning the morality of simplistic Hollywood discourses about good and bad. Singh portrays himself as a robin hood with an anti-state, anti-political party discourse, and his acts can be interpreted as ‘everyday forms of resistance’ to an unequal, corrupt system he despises. “Don’t ask me about (political) parties”, he tells the viewer, only to ramble on about politicians as liars who come every election cycle with empty promises. It is strikingly similar to a much-discussed interview given recently by British comedian Russell Brand on why he doesn’t vote. To highlight these social, political and economic differences in Kanpur, Singh’s gritty character is skillfully contrasted with the educated and well-off woman that comes to direct the energy company and stop energy theft in Kanpur through a tough, somewhat draconian enforcement policy that in the end is her own demise (she is fired after her party loses the state elections, partly because of the electricity issue). However, Singh’s actions could also be read in a more perverse way: by connecting small manufacturers to the grid, he is also allowing the capitalist machine to continue producing cheap export goods to richer people to consume, reproducing unequal rich-poor relations along the way. In a scene, several people in small textile mills are interviewed and say that of course they all know him, because they can work thanks to him. At the same time, Singh is not addressing the root causes of the inequalities of which he is part, and ultimately, he is powerless to change the conditions which he criticises. The film’s last image captures this stark reality with a sentence that reads: “Singh continues to be poor”. In short, the more things change, the more they stay the same. Home Turf briefly presents the traditional practice of a group of elders from Scotland coming together every year to extract, using only voluntary labour, peat bog (a type of soil made up almost entirely of rotten wood) from the land to be used as an energy source in their community. As they make clear, they are in it ‘for the fun’ and for sharing time with their friends. Unfortunately, after becoming engaged with this group of ‘fellas’, the viewer learns that this tradition is dying due to the increasing use of large-scale machinery to produce peat bog and the lack of interest from youth in participating. It is an excellent example of the “commoning” strategies that have become more and more uncommon with the expansion of capitalist relations into every aspect of our lives.